Carpet — Stretch carpet, direct glue carpet, and upholstered stairs. Resilient — Diagonal VCT installation, direct scribing and pattern scribing. 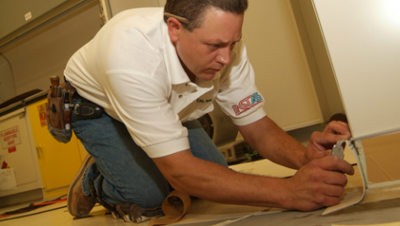 Project must meet specific criteria in order to pass assessment and qualify for INSTALL certification. This is a twelve-hour training session. You will be given the opportunity to understand what will be expected during your assessment. Your instructor will provide instruction and offer corrections. Certification: Eight-hour skill assessment. No instruction will be given. Call 248-541-2740 to register for INSTALL trainings.